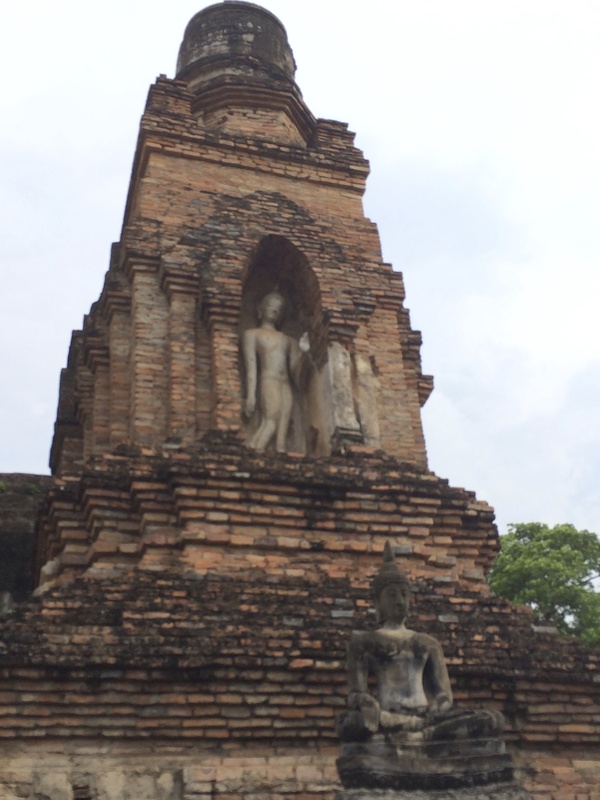 After leaving Ayutthaya, we headed further north to Sukhothai. 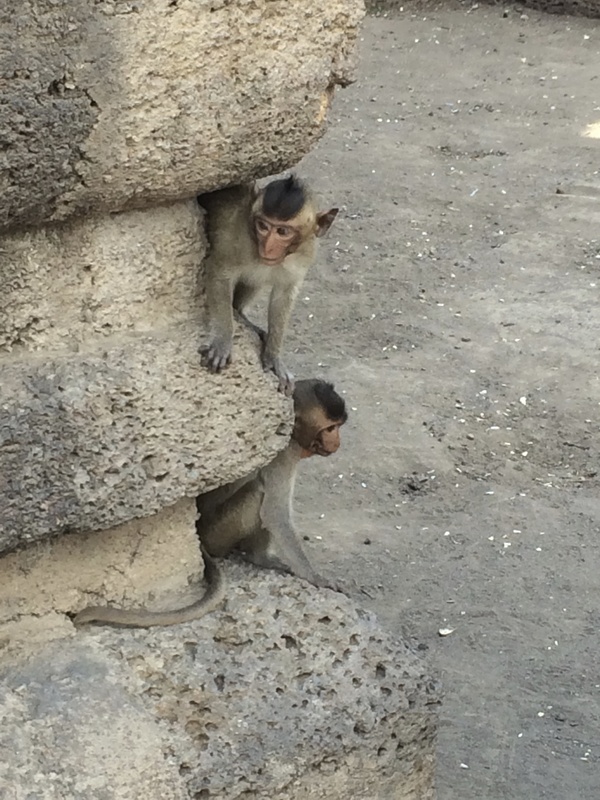 On the way, we stopped in Lopburi, also known as monkey town! 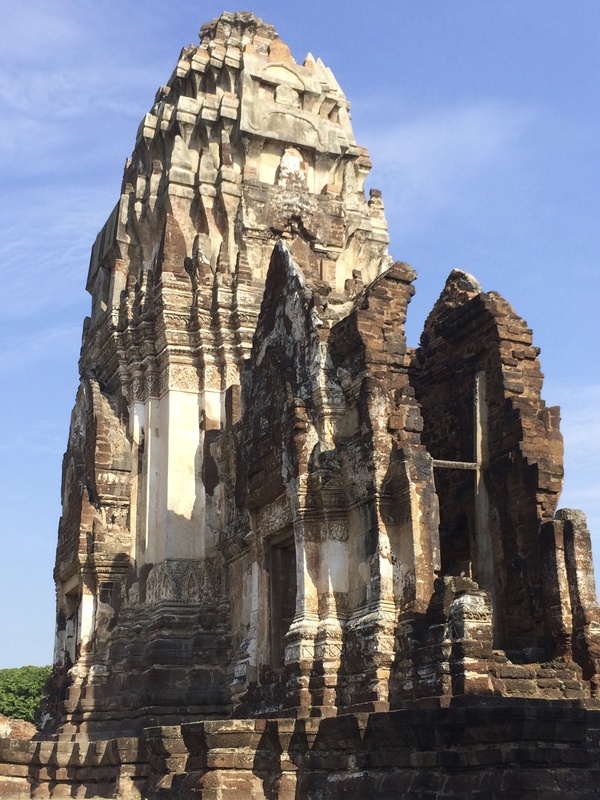 Lopburi is relatively small city, well-known for its resident crab-eating macaques that live in the center. We first stopped at the Buddhist temple Wat Phra Sri Rattana Mahathat. Then we went to the temple that is overun by the macaques, Phra Prang Sam Yot. The macaques are pretty bold, and will happily steal food from you – but the city feeds them twice a day. 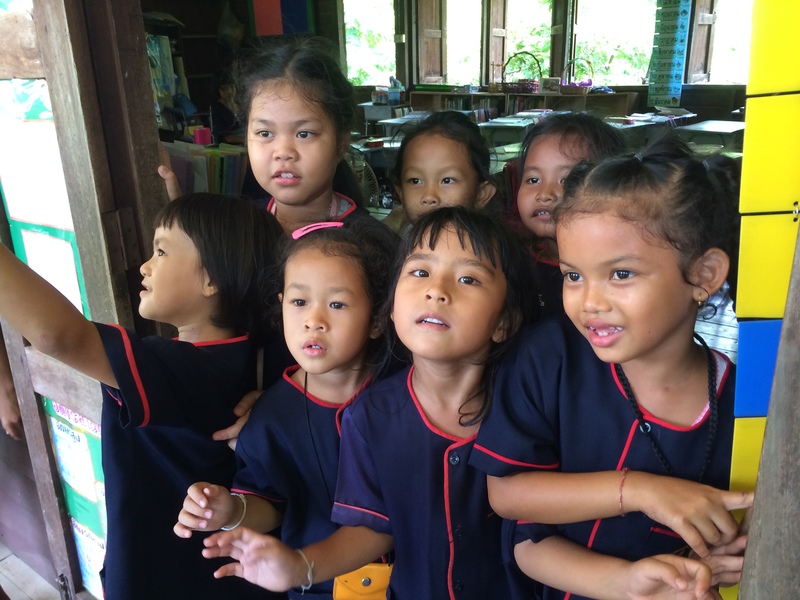 When we arrived, they were given their morning meal of mangoes. 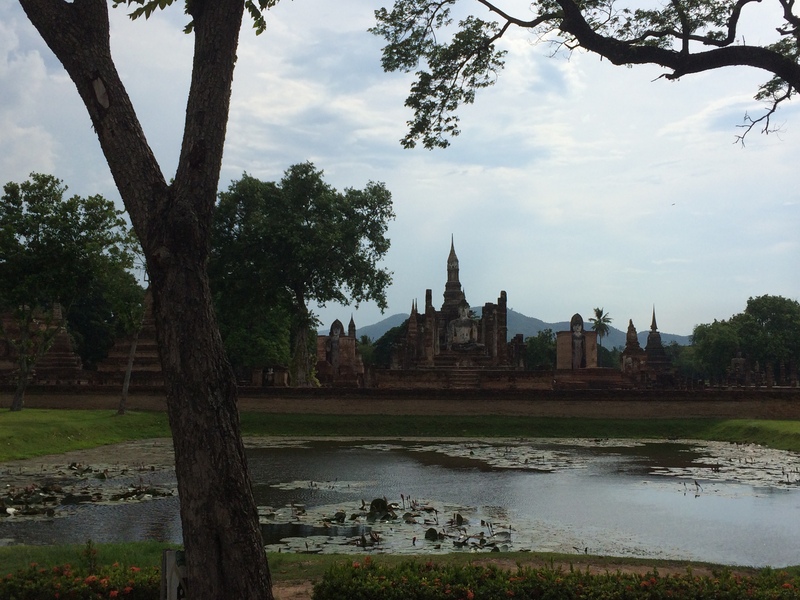 We continued north and headed to Sukhothai. Sukhothai was the first truly independent Thai kingdom, where the Thai culture, language and alphabet originated. First, we went to the Sri Satchanalai Historical Park, where we visited the most well-known temple, which is called Wat Chang Lom. This is a Sri Lankan style temple that has 39 elephants, some of which are in quite good condition. Next we visited a small village in the area where we stopped to visit some locals. We went around the area by local transport, called song taews. It is a motorcycle with 2 bench seats, which can hold 4 people. We also stopped at a local school to visit the children and donate some school supplies. They sang “head, shoulders, knees and toes” for us! 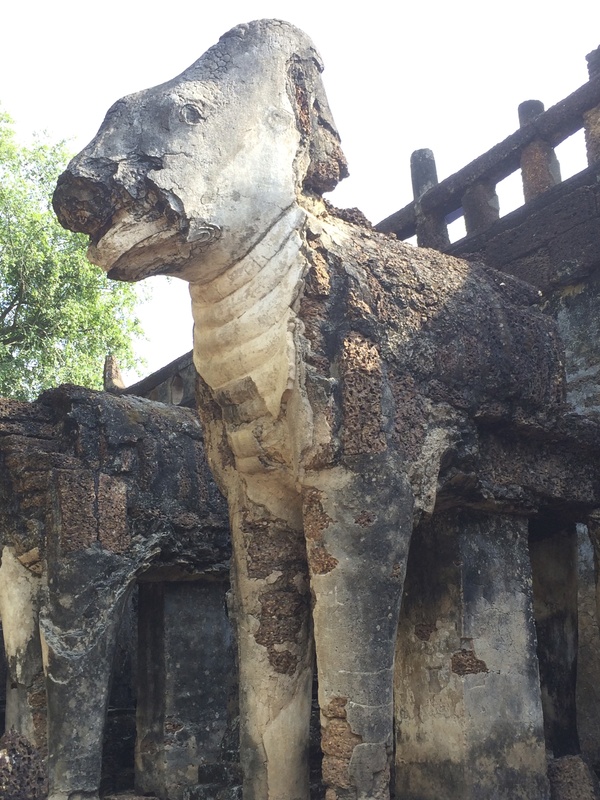 The old city of Sukhothai is full of ruins, which make up the Sukhothai Historical Park, a UNESCO World Heritage Site. The park contains over 200 ruins. Our song taew driver took us around the park, stopping at a few different areas for us to explore the ruins. 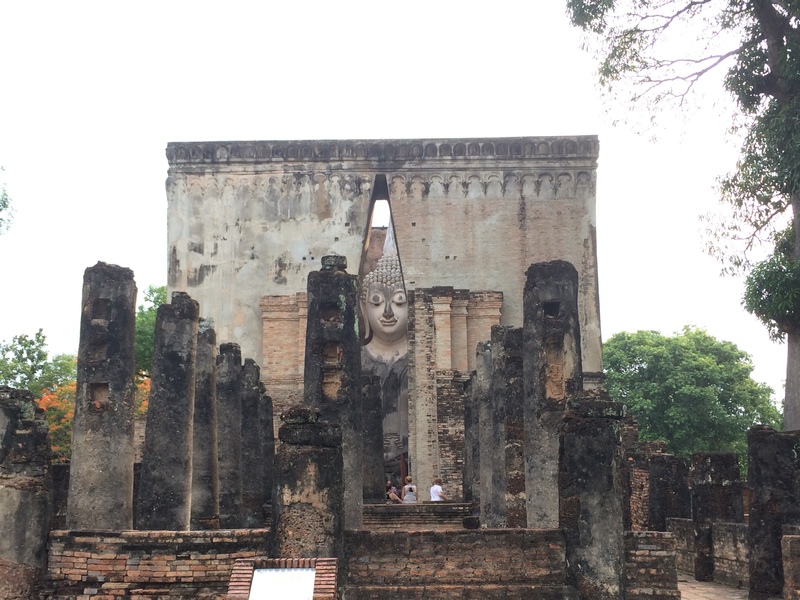 Finally, we stopped at Wat Sri Chum, which contains a massive Buddha peeking through an opening in the walls. The next post will be about Chiang Rai!